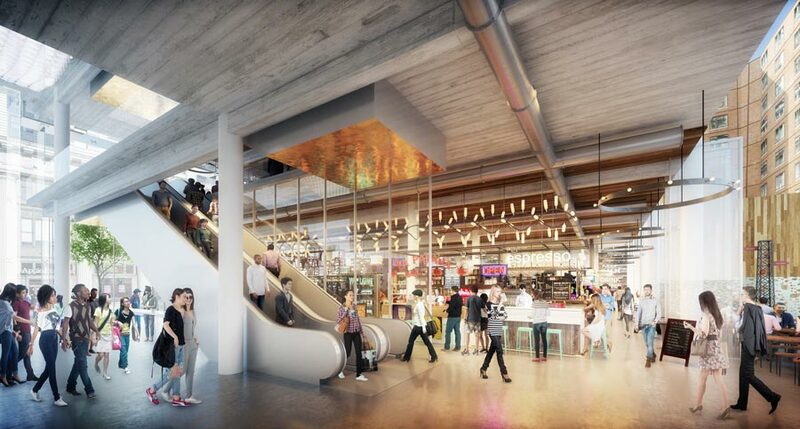 The hub will house a 36,500-square-foot jobs training and education center, and 58,000 square feet of workspace for new tech-focused enterprises, while Civic Hall, a member-based collaborative workspace that uses technology to benefit the public, will anchor the project. 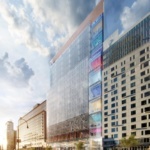 The City of New York has unveiled its vision for a tech incubator, designed by Davis Brody Bond, in Manhattan’s Union Square. 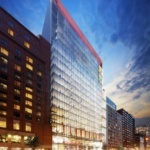 The firm’s scheme builds out the city’s ambitions for its very own Silicon Alley. 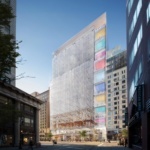 Developed in partnership with RAL Development Services, the Union Square Tech Hub also responds to a need for 21st-century office space: Much of New York’s older office building stock provides inflexible or hard-to-retrofit layouts that are incompatible with tech industry demands. 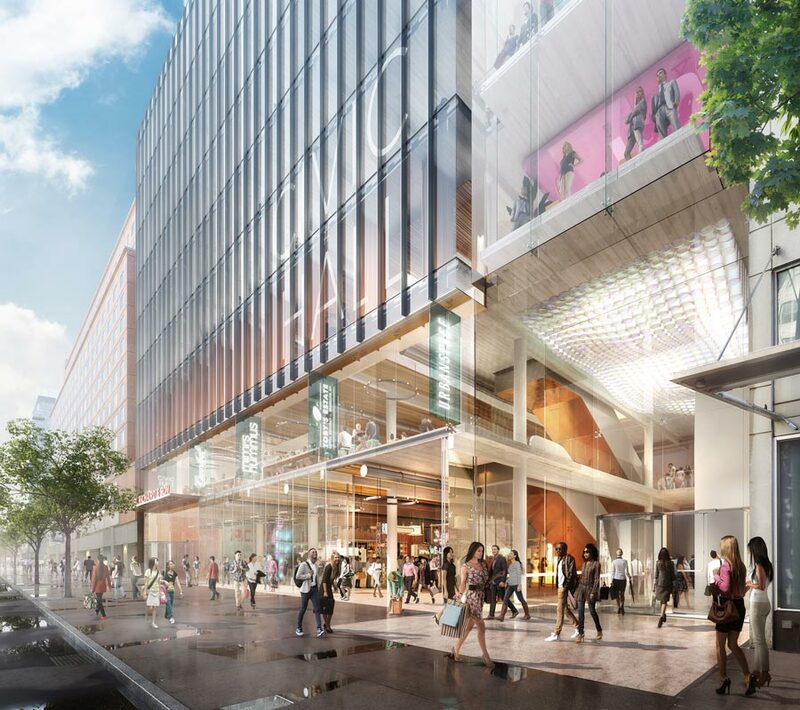 The hub will house a 36,500-square-foot jobs training and education center, and 58,000 square feet of workspace for new tech-focused enterprises, while Civic Hall, a member-based collaborative workspace that uses technology to benefit the public, will anchor the project. The announcement included buzzing endorsements from elected officials and project partners that verged on tech-babble. 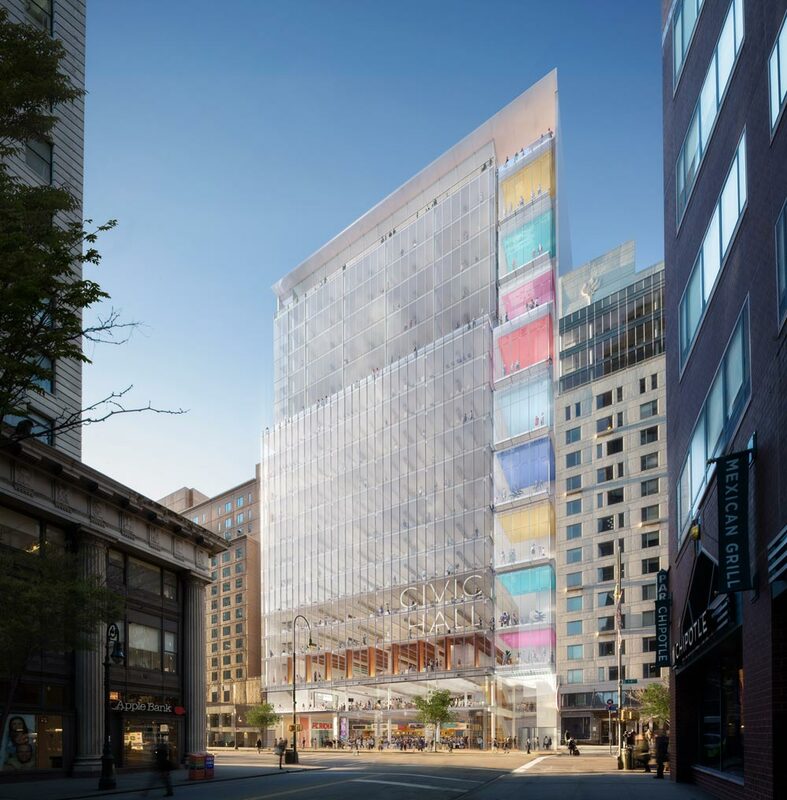 The hub will be a “nexus” for “innovation” and “cross-pollination” between startups in the “booming creative economy.” In all, the project’s expected to cost $250 million. 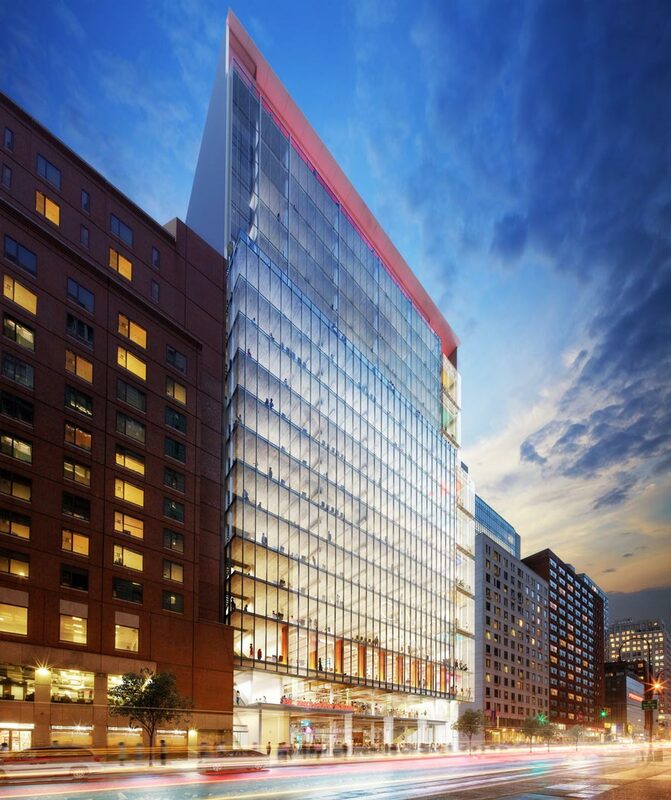 The 258,000-square-foot development will replace the electronics store PC Richard & Sons on 14th Street between Third and Fourth avenues. 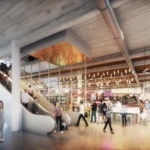 To support fast-growing enterprises, the hub will offer shorter leases (6 months to five years) than a typical commercial office building. In turn, Civic Hall will partner with General Assembly, Per Scholas, the New York City Foundation for Computer Science Education, Code to Work, FedCap, and Coalition for Queens to provide workforce development for city residents. For Davis Brody Bond, 2017’s shaping up to be a banner year for development downtown. 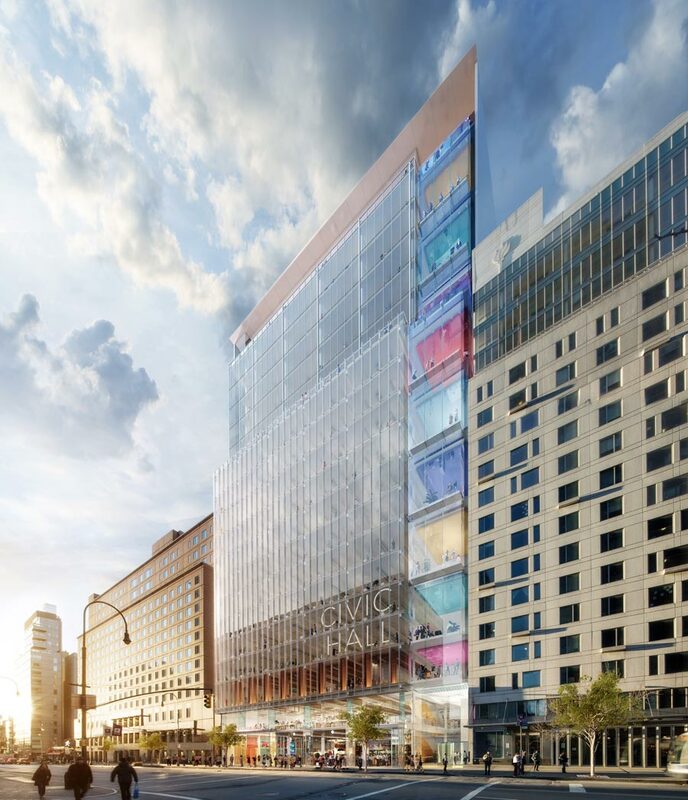 Late last year, New York University revealed the firm’s vision for a 23-story housing and academic center on Mercer Street, designed in collaboration with KieranTimberlake.